Again, you point out one instance. Yes it helps. We had insider info that Georgia was turning a guy loose and jumped on him. Are you planning on doing that for every recruit in this class? You think that was one singular instance? Whatever. Believe what you want. I honestly don't care to discuss it further with you. Yes, that was one instance. Unless you have more examples. I'd love to hear them. It's not surprising you don't want to discuss it. You want to believe what you want to believe. You are missing the forest for the trees. If that's what you want, you're welcome to it. Did you expect the newspaper to describe every possible scenario in which the coach had a connection with the HS coach? 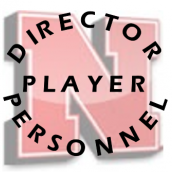 My point is that many of the Husker coaches have very well established relationships with the high schools and HS coaches with which they are visiting. And I would be willing to go our on a limb and say that player know who the coaches are already to in those established areas. There are, AGAIN, exceptions to that where perhaps a coach is recruiting a new territory. If you can understand my line of thinking, blink twice. If not, just move on. I can't explain it any more clearly than that. Maybe analogies is the way to explain this. Knowing the coach is like knowing a girls parents. You might know them and they think you are an alright guy, but ultimately the girl has to like u or it ain't happening. They are the one u need to impress in the end. The fact this thread is 6 pages is amazing too. Just the best. You know what will help get better recruits? People WHINING about the ones we ARE getting before this staff has even coached a game here. What's more important StPaulHusker getting "his" thread to legendary length OR getting good recruits??? We know what one poster would say !!! To be fair, StPaul is not complaining about the recruits that are committing, rather the offers to prospects who are some combination of low rated, few Power 5 offers, hold an UCF offer, qualifier risks, or are undersized. Also, complaints about recruits not committing...(currently June). I’m just surprised and a little disappointed that with everything Frost was being celebrated for that it didn’t really translate to some highly rated recruits jumping on board early. Its not really a complaint but more of a pessimistic observation. Maybe it will happen in a year or two. I just thought there would have been more to him with recruiting earlier on. That doesn’t mean he can’t develop players or anything like that. Strictly recruiting speaking, we are pulling pretty much the same ranked players that the last 4 coaches have. This is the most rational way that you have stated your perspective. I think you are right, too an extent. The only reservation that I have about fully agreeing is (1) the 2018 recruiting class under Frost finished very strong and (2) we are only in June for the 2019 cycle and there is way too much time until NSD to assume we know how this class finishes. For how long the recruiting process is and how in the dark fans are about recruiting strategies, I feel the best perspective is to not overreact to the day-to-day but to be patient with the process. Now, the story changes in January. I get the impression that he is after system fit, work ethic and relationships/ culture fit. These low rated offers now are to kids the staff already knows. They will go after the highly rated kids also, but will not hesitate with others if they think they have found something. Simply being high rated doesn't guarantee anything. Having multiple top 10 classes in a row doesn't either, look at Michigan. He has a system and won't deviate. I think he also might be too blunt/honest for some highly rated kids who just want attention. In my book, that is a great thing. Show me one coach that says they are just trying to recruit the best players regardless of fit. No one said that being high rated is a guarantee but when you have a 4-5 star player that doesn't pan out and you have other 4-5 star players to fill in, it works out. See: Clemson, Alabama, Ohio St. If he can do it game after game in the B1G with his system, then God bless him. I see Urban Meyer and James Franklin taking the other approach and being very successful. When I talk about scheme and culture fit, that is specifically referring to guys they think can be coached and developed. UCF had disadvantages, and so does NU compared to the population bases around all the other schools you mention. You have to take a different approach at a UCF or here. You can't simply say "imitate Urban Meyer" and expect that to happen. I read the other day that 50% of the US population lives within 500 miles of Columbus, Ohio. You think it was any coincidence Urban chose that school? Nebraska has always been about out working, and out scheming opponents. Never has it been about out talenting anyone to win titles. 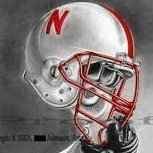 Nebraska's 95 NC team starters consisted of 2 5 star RB's, 6 High School All American's and 10 High School All State players from like 4-5 different states. Let's be real here. But, I dont think it takes that to win a national championship. It may take that to win a national championship and also be considered the most dominating and best team in the history of college football. Exactly Huskers. When NU finally got that talent it created the best team ever. That was never the M.O. because that was not the normal level of talent. It was about hard work and coaching. I'm starting to wonder if Frost wronged StPaulHusker in some way. I don't spend a ton of time on the recruiting forum but this seems to happen in every single topic. There seems to be something wrong with every offer and every commit. Frost promised one day we would trade cars, and he'd let me drive his Jag while he drove my old commuter car. It's been almost ten years. I still haven't gotten that Jag for a day. He probably sold it the next day just to spite you. Which gives me carte blanche to rag on his every decision from here until the end of time. Bonus! It has taken no lower than an average 14 recruiting class since 2000 to win a national championship. And, again, if Frost can win one without doing the same, put up a statue for him immediately after. Nebraska has ALWAYS gotten the talent back then. What teams were you watching? Had talent, but not the level you remember. Not sure how easy it was for you to put that together. But can you do the same thing for the team that lost the national championship game that year? I only say that because yes they lost- but they were obviously right there and had what it took to win the natty- they just lost to a better coach. I think oregon played in 2 from memory and I think they had a chance to win both. Now they came up short- but a different bounce of a ball here or there and they may have won. So curious what it takes to get to the game. Oregons classes during they dominating run is very important to note, because it directly impacts how we should view things. Because it shows what this system can over come in talent or star ratings. Good stats, but by that token, HCSF should have 5 years to recruit. He's going to have to do it to get a NC, because we aren't going to have those averages. I should clarify my prior statement about never having that talent. I meant we never had top 5 talent coming in. After Epley and TO were done with them, a ton were that caliber of players. But that is coaching and development, turning 2/3/4star recruits into 4/5 star players. So with the exception of 2010 Oregon (and the weird OSU years from 03-06) the runner up in the national championship game since 2004 had no less than a 15-16 average recruiting ranking over the 5 years leading up to the game. I was thinking about looking up the class rankings of a new HC leading up to their first NC appearance. Maybe another day. Almost every class for Texas in the past 2 decades and i would say to a smaller degree BP did that at NU. Nice cherry picking - SF and NU are not in a situation of 95 NU. TO fielded "solid" (great) teams for 2 decades and 15 or so of those classes have NO resemblance to what you described. Were those other teams National Champions? No? Then they are irrelevant to the discussion of needing big time players to win one. Do you have quotes from Mack Brown or Bo Pelini that said it what was they were doing? Didn't think so. Do you have proof or is this another blanket statement that Osborne only fielded walk ons from Mead, NE? You have shown recently the ability to look things up fairly quickly - i'm confident with what i have stated and don't need to look it up / go check for yourself. I didn't even know we fielded a walk on from Mead, NE - thanks for the info. Do know that i have NEVER stated or heard anyone state anything close to that. I didn't even know we fielded a walk on from Mead, NE - thanks for the info. Do know that i have NEVER stated anything close to that. So I ask you for proof of your claims and you ask me to look them up for you? Lol. You probably shouldn't have stepped onto this if you weren't prepared. I think the most relevant information is the oregon recruiting classes. Because they ran a similiar system to what we will be running. Between the 2 NC appearances by oregon over what appears to roughly be a 10 year recruiting period is that oregon recruited on average between a recruiting class of 16-28. That is totally in line with how Scott Frost is recruiting at the current moment, and I fully expect it to get even better over the next few years with on field results. So it is entirely relevant to look at that and say if we continue to recruit at this level and better- and recruit the speed Frost and (Chip Kelly) would. Then this system will allow us to recruit at this level and win 10-12 games a year and compete for a national title every few years. Keep in mind over that time period Oregon was winning 10-12 every year and killing everyone 70-10. So if we can duplicate that success for the next 10-20 years sign me up. For the last 20 years at least, a 16-28 recruiting ranking is not a recipe for a NC winner. It has been the recipe for 2 NC losers and 2 CFP losses. I think it is worth noting the dominance the ducks had during that period and the fact they had a shot at 2 titles with that talent. It says this system gives you an edge with lesser star ratings. Sure they lost 2 titles- but so did Osborne for 20 years. NU in most of 70s and 80s pounded people 70-10 just like Oregon. We had lots of shots at titles but lost. Many thought Osborne peaked and couldn’t win the big one. I agree that they certainly out played their rankings. Worth noting is that leading up their 2nd shot, their rankings were mostly higher than 15. So there is history on the side of Frost if he can duplicate. Just hope if it happens the results are better. I think expecting Nebraska to have recruiting classes ranked around 15 is pretty reasonable. If Nebraska could land more of the 4 stars from kansas and Missouri instead of having them go to Ohio state and Oklahoma would bump Nebraska up a few spots. That and this staffs ties to the south top 15 classes dont seem unrealistic. I'm expecting an average of 20, trending better as we win more. I agree because I see them taking a fair amount of low to mid three star guys they really like. That will keep the overall yearly rankings lower. It will still be the best in the west most every year.